With the help of his new friends, Daisy, Spencer has to find out what the janitors know. The children's search uncovers the magic taking place behind the scenes of their seemingly ordinary school, where a battle is being waged for the minds of the students. Who can be trusted - and can Spencer and Daisy protect their school and possibly the world? WHAT A FUN BOOK TO READ RIGHT BEFORE SCHOOL STARTS! There is a reason why kids have a hard time studying. There is a reason why kids fall asleep during school. There is a reason why kids get distracted at school. And it's NOT the kids fault. Crazy creatures run around the school secretly causing all kinds of problems. They have been unseen until the day that Spencer accidentally used the magic soap. Now he can see them. 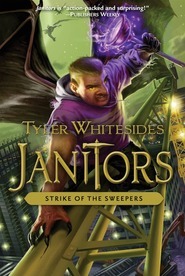 And he learns that the janitors have been there all along helping in the fight. 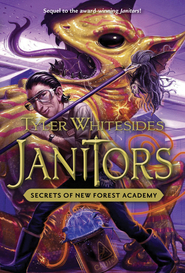 Join Spencer and Daisy as they train with the janitors to help protect the school and the kids who attend there. Had a great time getting caught up in the book. Can't wait for book 2. I am so excited about this book! I honestly enjoyed it far more than I expected. May I embarrassingly admit that I wasn't expecting much? I am embarrassed. 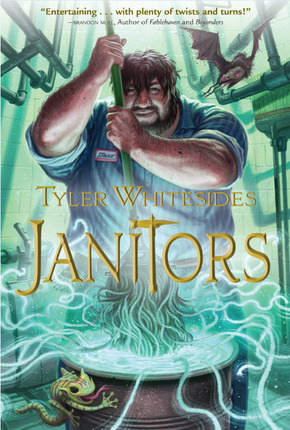 Janitors is full of surprising turns and unexpected outcomes. My children were constantly asking for, "just one more chapter!" Mr. Whitesides has a bright future ahead as an author and we will continue to look forward to reading his books. For now, start with Janitors and prepare to enjoy it with your children! 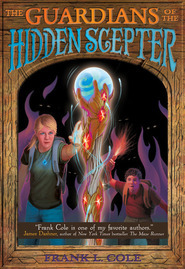 Probably one of the best pre-teen or teen book I have read. Not only were the young heroes interesting, smart, and resourceful, but the adults weren't portrayed as stupid, mean, or ignorant. They were careful of the children's safety, and the parents were loving and supportive. Whitesides captures the interest and imagination, and I would give anything he writes to my children to read. You'll never look at a broom the same again! "Spencer shifted the papers on his school desk and looked for a hundredth time at the graffiti in the corner." I read Tyler's book to my kids at bedtime. Every night they were adamant we read it even at 11 PM (which I nixed)! They loved the characters, cleaning weapons and Toxites. My son wants to take it to school so his teacher can read it to the class. That's a huge compliment! 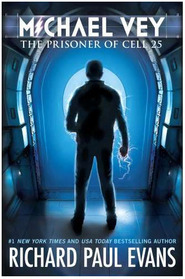 I loved the clean, fast-paced writing. Lots of twists and play on words. 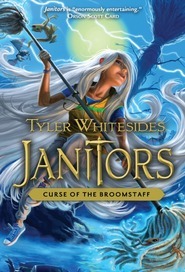 With the tagline: 'you'll never look at a mop the same way again' Tyler is not kidding! The story kept us hooked from beginning to surprise ending. Not very happy with the cliffhangers, Mr. Whitesides! Did not see that one coming. My kids even gasped when I read it! I'm glad I read it! This is a great and exciting book that I would definitely recommend to young teens. It is an easy and captivating read. I sure wish I had a glopified mop!